the leaders of the church without leaving home. kids entertained for the 4+ hours each day that Conference airs. 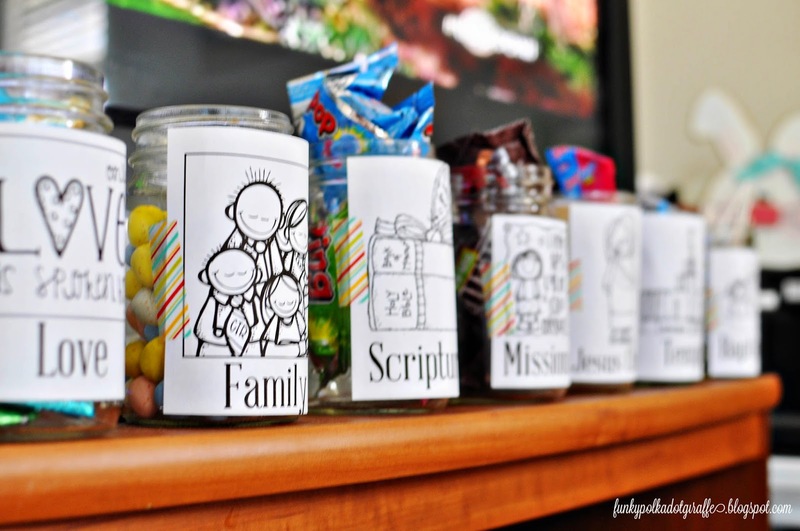 treat jars labeled with sweet words! a classic procrastinator I never gathered the necessary matching buckets in time. jars and rainbow washi tape? emptied of the delicious jams and jellies my mother-in-law makes. and then I attached the labels with rainbow washi tape. 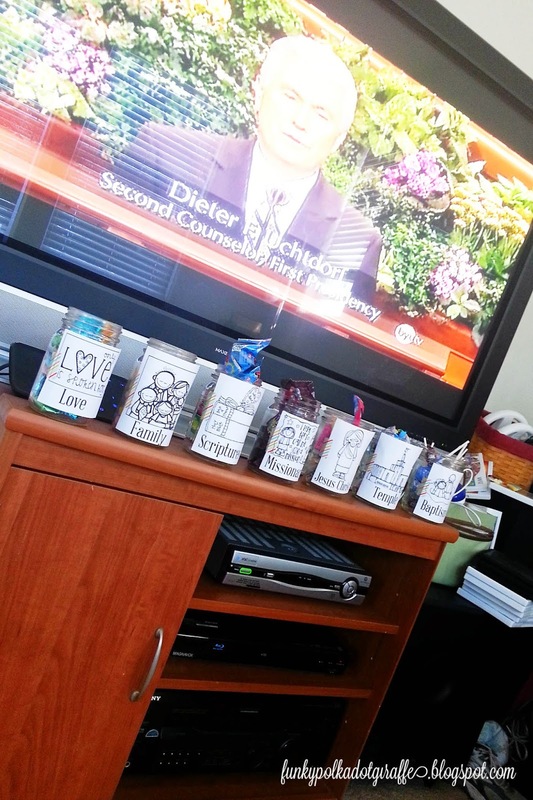 Then I filled the jars with candy, sweet treats, and food from my stash. bubbles, pencils, and other novelty items. in and out so that it's different every couple of speakers. and make it so there isn't too much of a sugar overload. I also have the rule that the kids can only collect on a word twice in the same talk. word "missionary" 25 times, they can only collect a maximum of 2 sweets for his talk. 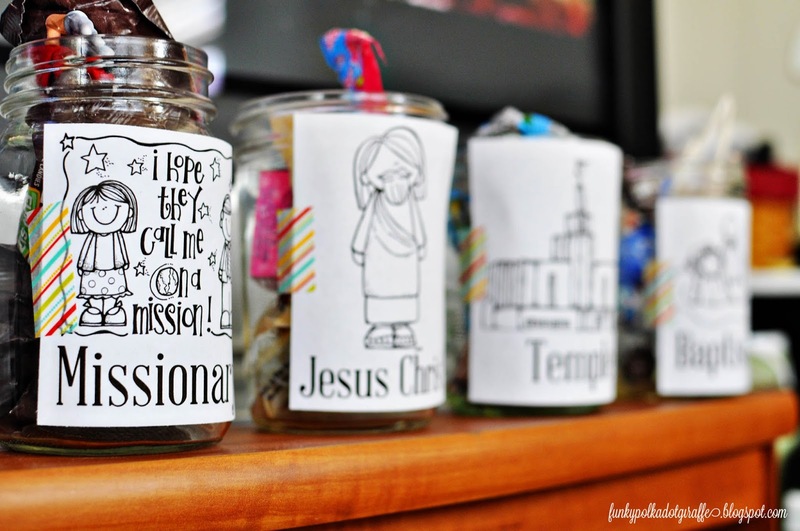 I'm sharing my General Conference sweet words labels with you. They are in PDF format and they are ready for you! the kids color ours this year and then laminate them. 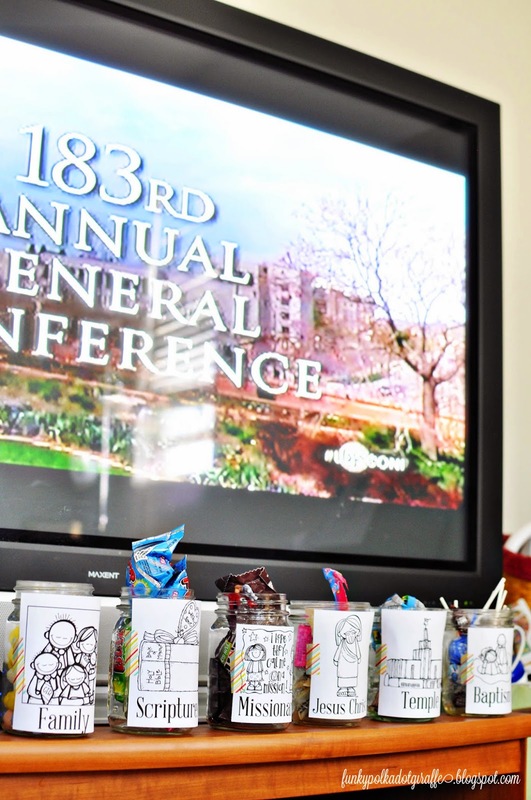 What do you do to keep your kids engaged during General Conference?